Northern Attleboro – Sackie Nyanquoi, the Liberian whose tragic acid attack tale earned him the name ‘Man Without A Face’ is dead. According to family sources, Sackie died in the state of Massachusetts on the night of his 27th birthday, October 29, 2018 while playing recreational soccer on his college campus. He is said to have died of natural causes when he collapsed during an intramural soccer game in the gymnasium on his campus. 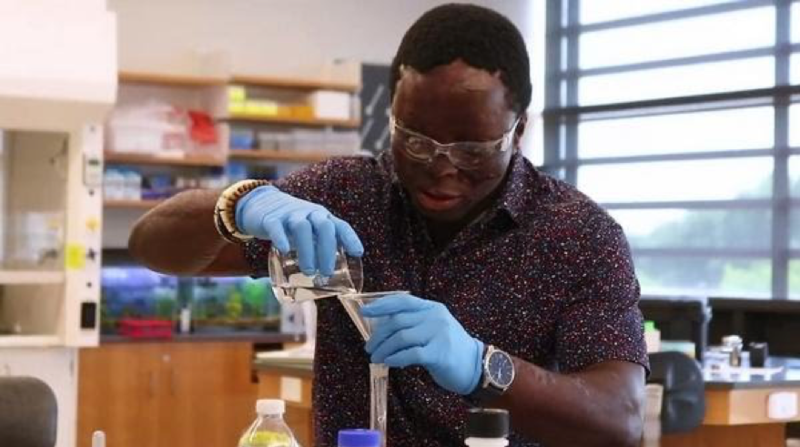 A senior student at the Massachusetts-based Bridgewater State University, majoring in Chemistry, with a concentration in Biochemistry, Sackie had hope to become a renowned Liberian surgeon upon completing both his medical treatment and studies. “The game had just ended and he passed out. He was totally unresponsive”, a local newspaper in Massachusetts, The Enterprise, quotes Police Chief David Tillinghast. Police say they believe he died of natural causes: “We do believe he died of natural causes, apparently cardiac-related,” Tillinghast said. Sackie’s sudden death brings to an unfortunate end not only a remarkable recovery tale, but also his impressive academic journey and a newly found life in the United States, as has been chronicled by FrontPageAfrica over the past nine years. Then only 17, armed robbers on April 17, 2008 attacked Sackie’s parents’ home on Perry Street, Monrovia, , leaving him severally wounded and burned after they poured raw acid liquid on him and his father. The attack caused severe disfigurement on Sackie’s body and his face. He and his father were admitted at the John F. Kennedy Hospital in Monrovia. The father quickly recovered few weeks later, but it was the teenager who lied in anguish on the hospital bed for over a year due to the severity of the burns he suffered. He was left completely disfigured beyond recognition. 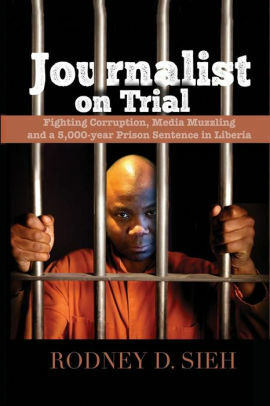 By mid-2009, FrontPageAfrica visited him at the hospital, subsequently running series of articles on his plight that eventually yielded humanitarian results. Dr. Bartum Kulah, a Liberian US-based doctor had brought Sackie’s plight to the paper’s attention. By 2010, Sackie and his mother travelled to the United States where he began receiving pro-bono reconstructive surgeries at the Shriners Hospitals for Children in Boston. While receiving treatment including multiple surgeries, Sackie also continued his secondary education which had been interrupted back home in Liberia due to the acid attack on him. After his high school graduation from the North Attleboro High School in 2012, he enrolled at the Bristol Community College. In 2016, he transferred to the Bridgewater State University, the largest college in the Massachusetts State University System outside the University of Massachusetts System. Following his untimely death, several tributes have been pouring in. Former Margibi County Senator, Honorable Clarice Jah, who chaired the Liberian Senate’s Committee on Health at the time of the acid attack and contributed to Sackie’s US travels, simply wrote of sorrow: “I’m so sad about Sackie”.